When, after fifteen years of runaway growth based largely on property speculation, the Irish economy finally crashed, Ireland's bankers and developers tried to keep themselves out of sight. But they couldn't keep themselves out of court - and it is in the courtrooms that the full, sickening drama of the Irish meltdown is being played out. 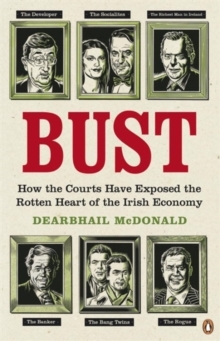 Dearbhail McDonald, the legal editor of the Irish Independent, has been following the high-stakes rows through the courts and, drawing upon her unmatched contacts, tells the often bizarre stories behind an extraordinary reversal of fortune. 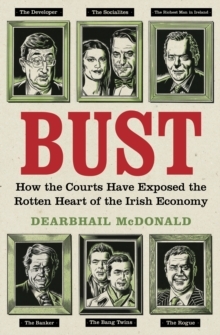 From the man who ran a pyramid scheme in a Dublin suburb to the leading developers whose business now lies in ruins, from the man who lost billions on Anglo Irish Bank to the ordinary mortgage-holders who find themselves on the wrong side of the law, Bust paints a gripping picture of the human drama - and the human cost - of an economic catastrophe.